Yesterday’s powerful service touched so many of us–partly because so many of us have been touched by abuse, most as children. I could feel the love, compassion and solidarity in the sanctuary as Rick shared his heart and his life with us. His example of moving into forgiveness with his father was truly inspiring; where does it leave you as you think about those in your life who have hurt you? We are deep into Lent now and Easter beckons. It’s time to look at the unforgiveness we hold against those who have deeply hurt, wounded or wronged us. Perhaps it’s abuse from your past or in the past of someone you love. Perhaps it’s a betrayal or even a death. This week, I invite you to face the big, dark, hard edges of that unforgiveness with the shining light of Christ. If we want to forgive someone who hurt us very badly, how do we begin? We absolutely most have God’s help in this endeavor. With God, it really is possible to forgive past hurts, even very big ones. Ask for God’s help. Say to God, “I really want to forgive this person, but I can’t. I don’t know how. It hurts too much. Help me. Show me how to forgive.” Listen for the promptings of the Spirit. Then consider that forgiveness is an act of freeing ourselves from the pain of the past. You don’t forgive to free someone else. Do it for yourself. Unforgiveness keeps the past alive inside of us; we all know that the past is over. Whatever horrible events we endured, even though we may FEEL them still, we are actually in the present moment. Forgiveness frees us to live in the now and move into the life God has for us. Last, have patience. It can take many years, many practices (and sometimes it doesn’t! ), and much reflection. With tenderness and compassion, approach this project as if you were the most beloved child of the Creator of Life–because you are. 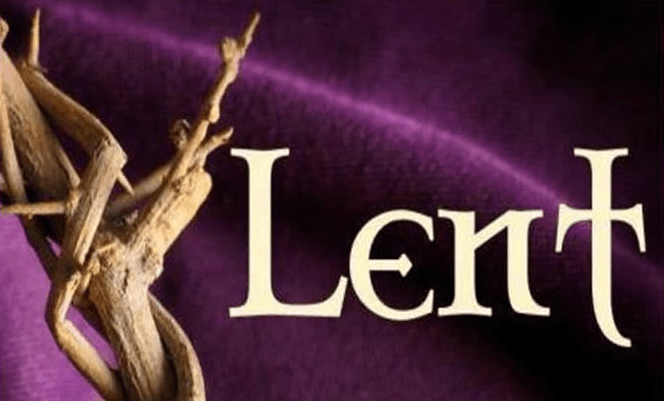 First week of Lent – Is forgiveness a one time event? March 6, 2017 Hopewebmaster Easter, Lent, Prayer Comments Off on First week of Lent – Is forgiveness a one time event? How did it go thinking about forgiveness last week? I’ve been asking around who has successful stories of forgiveness and it seems like we all have forgiveness stories but not all have been successful! What does the Bible say about this? Is forgiveness a one time event? Do we forgive someone once and move on? For most of us, forgiveness is a process and a practice. It’s a muscle and we want to build up its strength. It may take a long time, it may take a few different forms, and it may not go exactly like we expected. We might be relieved to think that forgiveness is an on-going experience. All the time we need it and all the time we are asked to offer it. Set it as a goal, with these little annoyances, to see the “other” as the Christ. You don’t need to do it with the big stuff yet! Try it just with the small things and see how it feels and where it leaves you. Sunday’s November 6th Service included honoring all those we have known and loved that have gone to be with God. This in our church is called ‘All Saints Day’. During the service Rev. 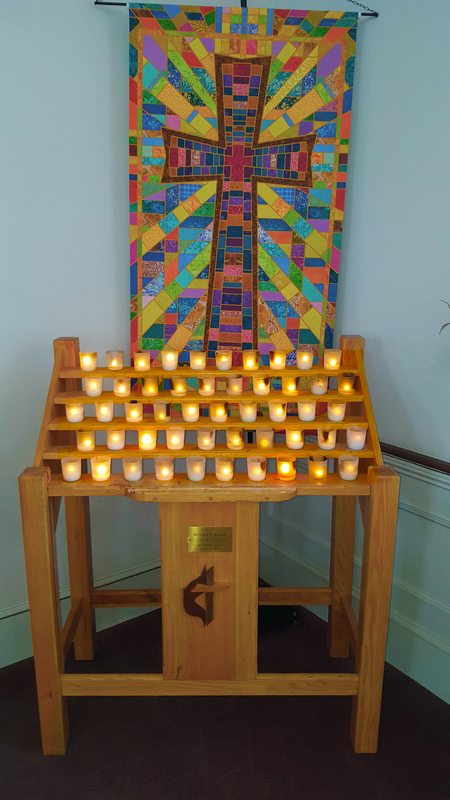 Sam Wilde invited anyone who would like to light a candle in remembrance of someone to come up. There was a long line; people waited patiently to have their moment to remember a loved one. In the end, as the last person lit a candle we all noticed that there were exactly enough! Enjoy our worship service. We apologize that the prayer requests may not be able to be heard as we were having some microphone issues. Please enjoy our Worship service. Thank you to Julie Buehler for her meaningful message, “Being God’s Humble Ambassador”.